Are you recently engaged but still on the hunt for your ideal wedding venue? 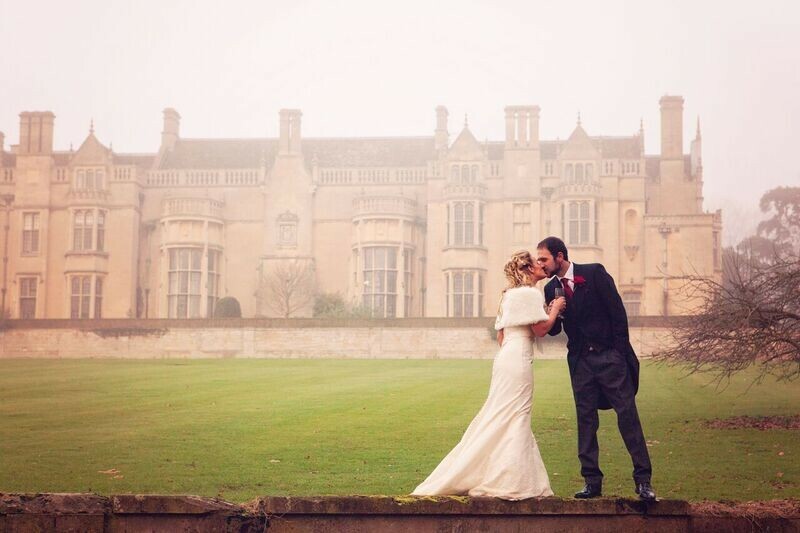 Well Rushton Hall might be just the place for you. We are holding an exclusive Spring Wedding Showcase in the Library at the hotel on 1st and 2nd April from 10pm-3pm so that you can get a flavour of what your Rushton Hall wedding could look like. Our state of the art new Orangery will be open from July 2017 and we are taking booking now for use of this amazing venue. Designed by a specialist in historical buildings and carefully tailored to fit the look and feel of the original building, the Orangery offers a unique and beautiful venue for your wedding. You will be able to have a look at the progress being made on our tour of the hotel. Who could resist the gorgeous wedding menus that the talented chef team have put together here at Rushton Hall? With a mouth-watering selection of dishes, the dining at Rushton is sure to satisfy and impress your wedding guests. You may remember from our interview back in December, Rushton’s dedicated wedding coordinator, Claire Adcock. She is always on hand to help you with any detail of your wedding at Rushton Hall, from flowers to furniture. We simply do not know what we would do without her. RSVP for our exclusive wedding showcase today and receive a 2 for 1 voucher for one of our luxury ‘Pamper You’ spa days. Who could say no? For the duration of the Wedding Showcase, our Wedding Team will be on hand to show you around the hotel and help to advise everything from menus to timings on your special day. There will also be a selection of local suppliers at the event to talk through your needs and any questions you may have. You can RSVP over on the Wedding Showcase page, and we look forward to welcoming you to our luxury wedding venue in Northamptonshire in April.